The Share and Compare feature allows you to explore how your ancestry has been passed down in your family tree. 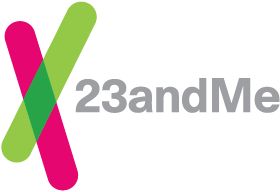 Those with the 23andMe Health and Ancestry Service will also be able to explore how health conditions and phenotypic traits have been passed down. How can I add someone to my tree if I’m already sharing? How to add information about my ancestors to my tree. How to remove a person in my pedigree? In the Share and Compare feature, click the place in the tree that correctly represents their relationship to you. If the relative is sharing genomes with you, select his or her name from the Connections dropdown menu. How to add information about my ancestors to my tree? Otherwise, click on the invite button to add the name of the relative. *The pedigree tree is intended to trace close relatives such as grandparents, parents, and siblings; there is not an option to add more distant relatives such as great-grandparents or great-great grandparents. How do I remove a person in my pedigree? In the Share and Compare feature, click on the person whom you would like to remove. Click on the “Remove from your tree” link. Go to Share and Compare.